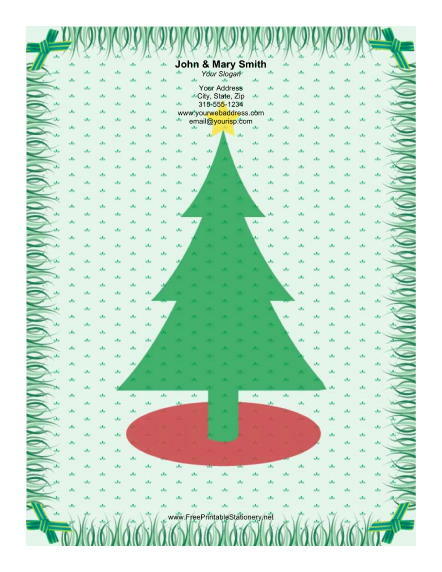 On this holiday paper, a large Christmas tree topped with a gold star is surrounded by a green border with green bows. A delicately flecked background of leaves gives this Christmas paper a touch of elegance. This stationery is perfect for writing letters to family around the holidays.